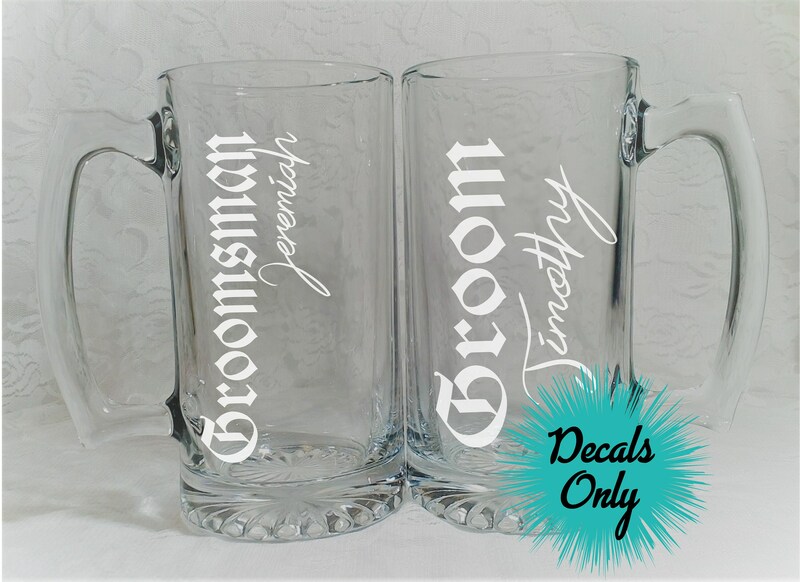 Groomsman Wedding Beer Mug Stickers are the perfect addition to any special Grooms day. 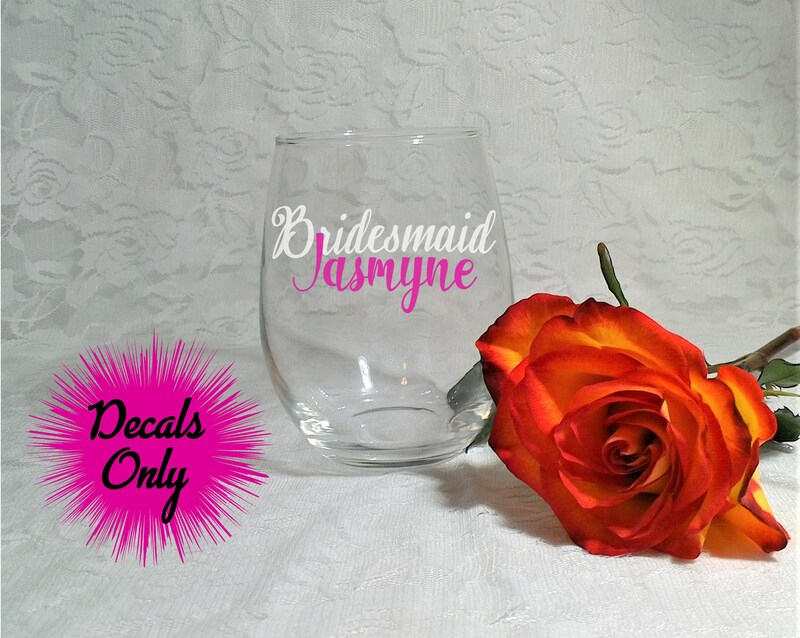 Perfect for Bachelor Parties, or Bridal Party Gifts. Small details can go a long way into making a statement...so why not make a statement every step of the way! Please select color you would like. It is recommended in white for beer colored liquids, but can be done in other colors if specified. If no color selected, Decal will be white. 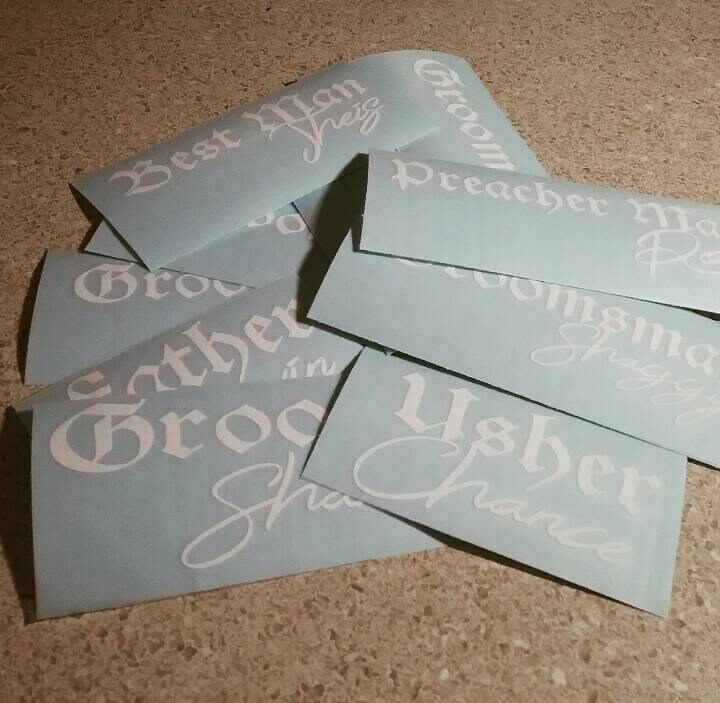 This listing includes high quality permanent sticker with Groomsman and Name ) If you are looking for more, please contact me. 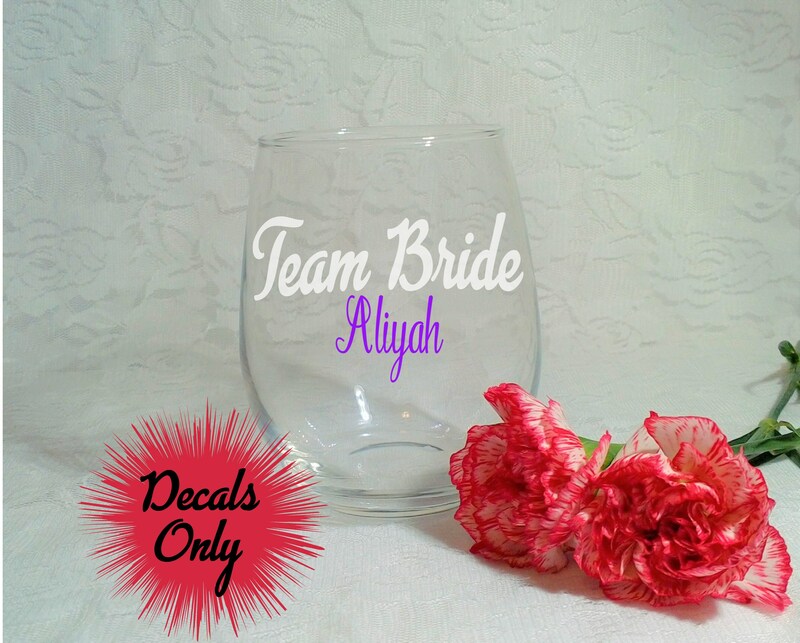 If you would like even more personalization please contact me. Measurements: 2" x 4" If you need another size please contact me. Listing includes decals only. 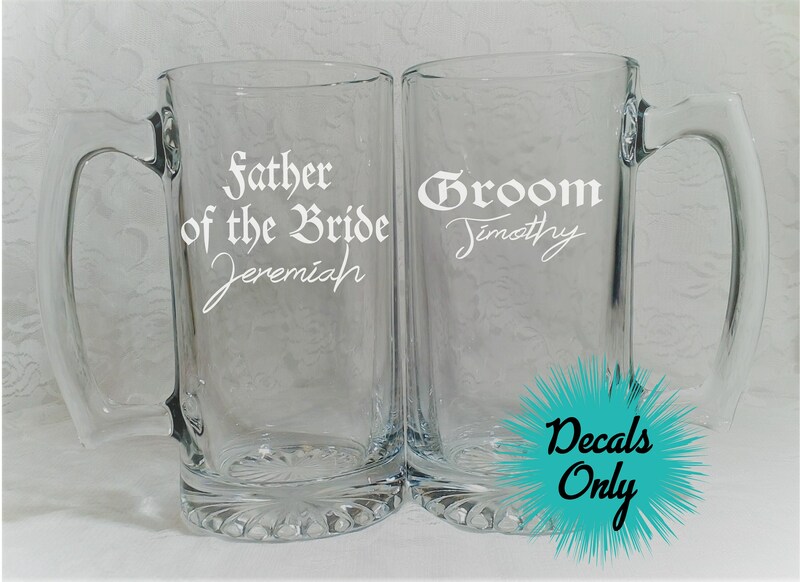 No Beer Mugs will be shipped with an order. 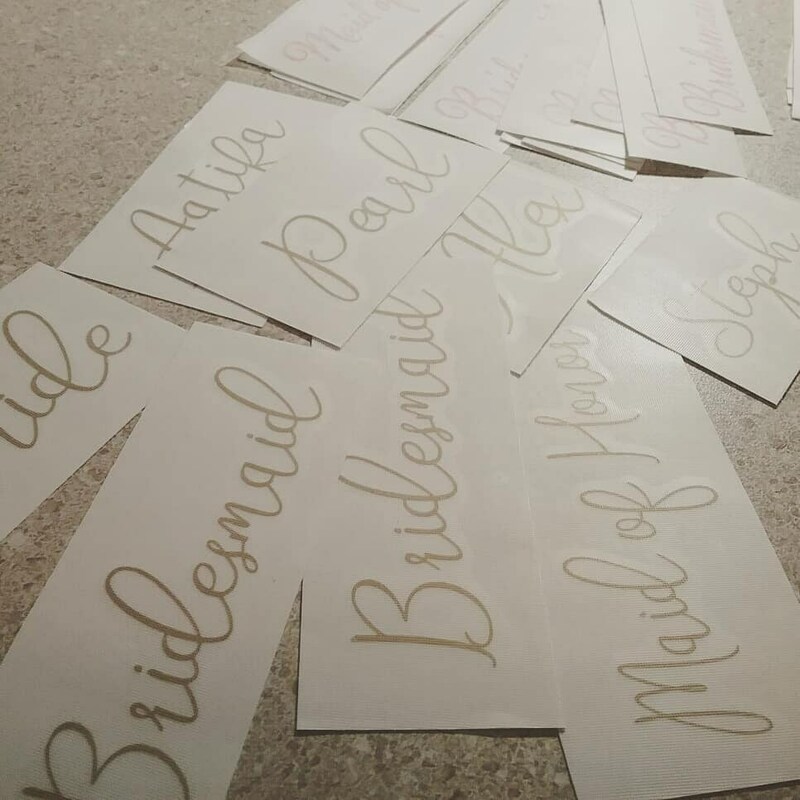 Absolutely LOVE my custom made decals for our Groomsmen!! Jennifer was such a pleasure to work with. 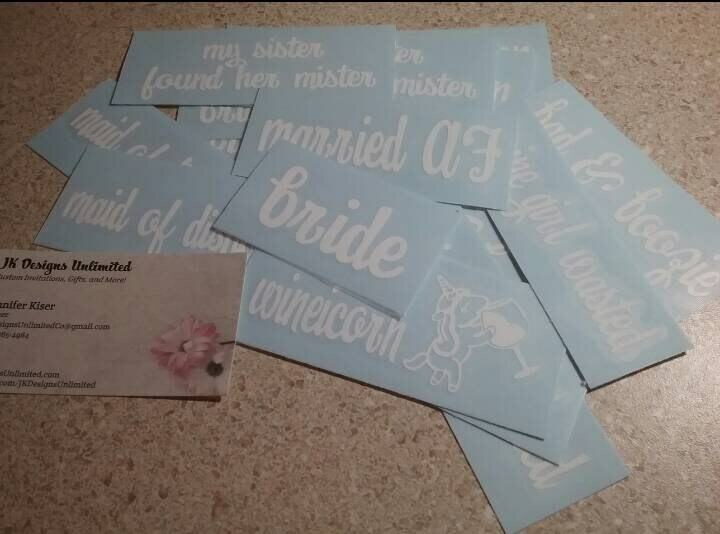 She understood my vision and produced it to the T. I would definitely recommend her for all your DIY Decals!! !